Travelling, without a doubt, is an avenue for education. It teaches us so much about the world and quite a lot about ourselves. In our excursions, we do not only learn about other cultures and how the other side of the world lives, but we also discover things about ourselves that we were unaware of until now. Furthermore, traveling allows us to push past our boundaries and comfort zones and would bring us to our full potential. However, not all travels are the same and consequently, they do not teach the same lessons. Traveling—especially alone—to unfamiliar countries and cities takes us away from the familiar and thrusts us into the realm and excitement of the unknown. In this regard, we are often presented with new situations that allow us to explore the depths of our capabilities. Consequently, it would also learn to see ourselves in a different light. No matter what trip you take, know that it would inevitably teach you something and mold you and your thoughts as a person. After all, traveling takes us out of our everyday routine and the habits of daily life insomuch that we are able to explore other things we have always wanted to do. In essence, travel encourages us to grow and mature. One great thing about backpacking is the inevitability of meeting a variety of people along your journey. These very same people can even become your lifelong friends and each person you encounter would have lessons to teach you as well. While some of these connections might be brief, know that they would make a significant impact on your life insomuch that they would permanently be etched in your memory. Apart from forming bonds and friendships over shared experiences, interacting with others would teach you so much about human nature. Moreover, it opens your eyes to just how vast and big the world is and makes you more receptive to different beliefs and ideas from yours. In turn, it can make you a more respectful human who would learn to appreciate what makes us different and cherish the similarities that tie us all together. Backpacking is no easy feat and at times the journey is often fraught with difficulties. As you propel yourself towards whatever part of the world, you would then develop a deep sense of appreciation for the people and things you have in your own life that you might have been taking for granted. As we make our way throughout the world, we tend to be thankful to them and cherish them as well. One of the most beautiful yet bittersweet things about traveling is its impermanence. It teaches us that change is inevitable and that there are some things in life that we cannot hold on to and are beyond our control. Traveling allows you to let go of both and experience transience as well. In this regard, we would then learn to seize the day and take it as it is. From there, we would then live life to the fullest and cherish the people and things in our lives better with the understanding that these things are temporary. 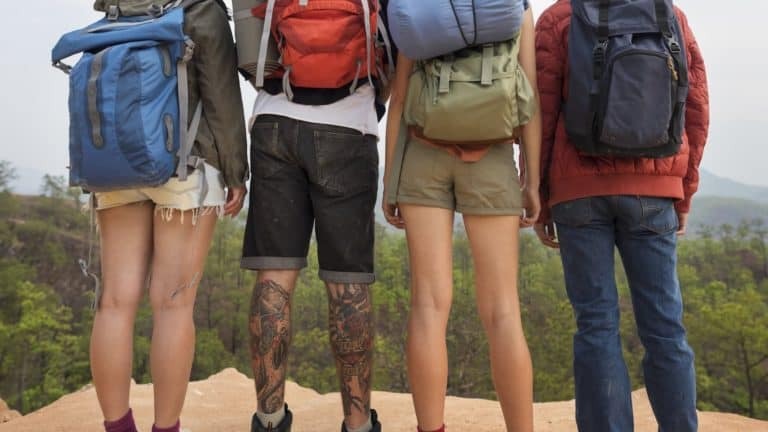 More often than not, the travel bug bites you the very moment you start thinking of backpacking your way around the world. The prospect of seeing new sights and being liberated from everything that holds you back is nothing short of liberating. Once you begin to experience the kind of freedom backpacking can afford you, resisting the urge to travel would become almost impossible. As a result, you would then be more motivated to see more of the world and to experience it as a whole. For some, traveling would become their calling and backpacking their way around the many nooks and crannies of the world would then become a passion they would pursue for a lifetime.